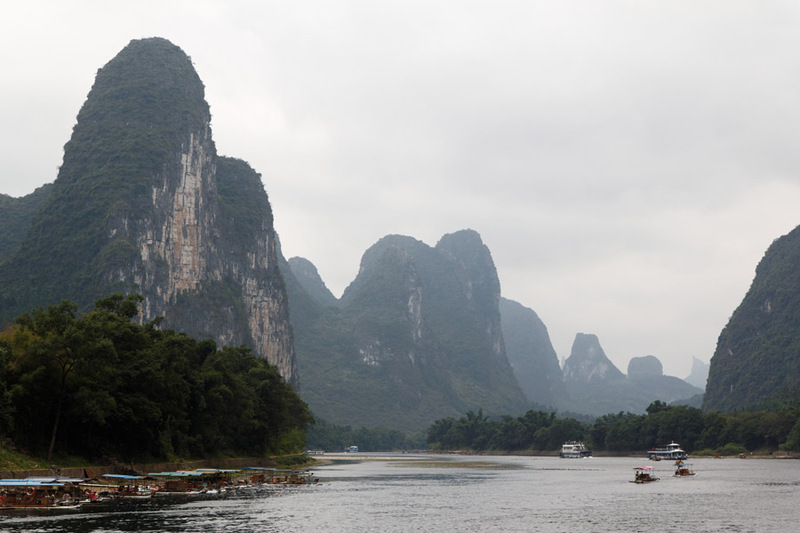 Today we did a guided trip along the Li River to a small place called Yangshuo. The boat ride takes 4.5 hours and goes through endless varations of the above scene. 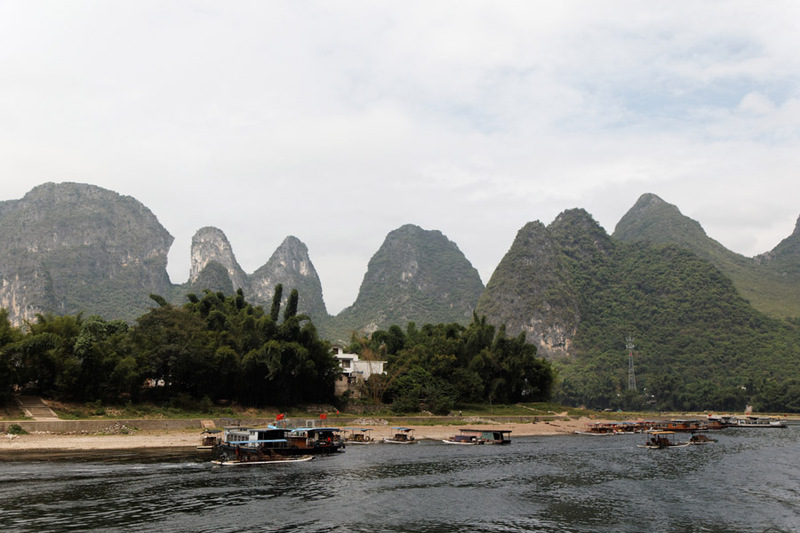 The weather forecast for the whole 4 days in Guilin was "overcast with heavy rain", so I was quite happy to get a small patch of blue sky in this picture. 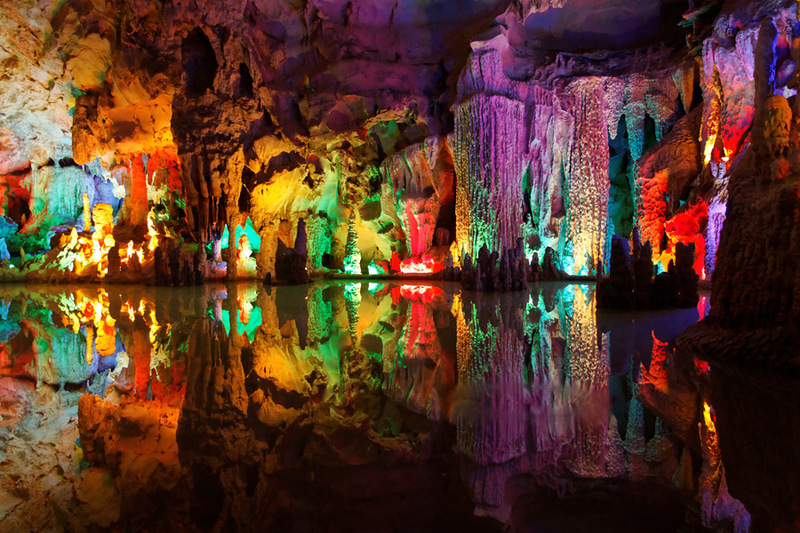 One of the many caves in the Guilin/Yangshuo area. As we found out all organized day-trips here are quite cheap. The catch is that the tour guide will bring you to about 7 places where you are encouraged to spend money. Of course you don't have to spend anything and it was fun to see with what tricks they tried to extract money from you. They even scam you in a buddhist temple. When we entered, everyone was handed an inscribed bamboo stick (We politely refused) which you were supposed to show to a monk to decipher it for you. 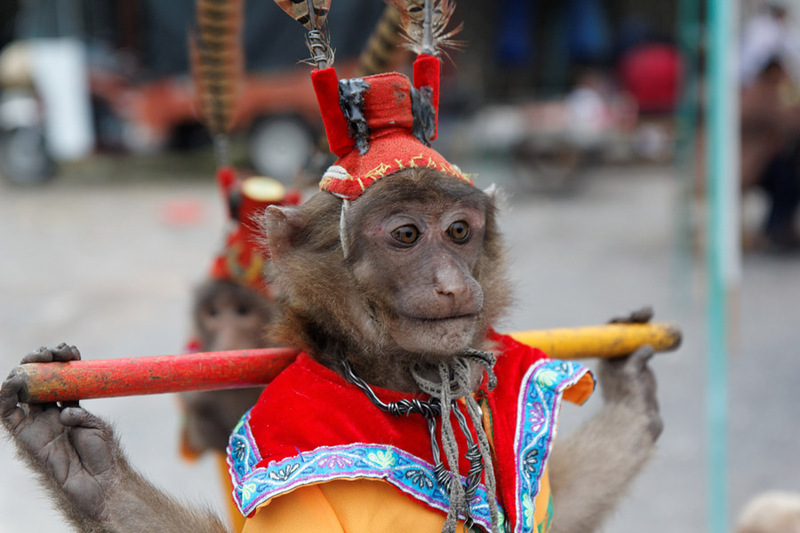 A young chinese guy complained to us afterwards that he had to pay around 100$ for the monks "translation" services, which he couldn't refuse to pay because the monk told him he would lose face refusing it in front of the big Buddha statue. The poor tourist's girlfriend wouldn't talk to him for several hours afterwards. Later the bus stopped in front of a jewellery shop and the tour guide lady told us we HAVE to get in there. The whole group was brought into a small white square room where we waited a while until a young saleswoman arrived and made us guess which of the 4 jade-rings was a fake one. One was obviously very fake and should probably distract you from the fact, that the other 3 real ones are also fakes. At one point a man came in, talked angrily with the girl and left again. Then the girl started her oscar worthy acting and told everybody that her boss is not happy and will fire her if she doesn't sell anything. Great entertainment. In total we paid 1$ to take a few pictures of the monkey above.